The access door has a slimline 25mm picture frame. The multi fixing holes provide easy installation into applications for varying depths of wall or ceiling. 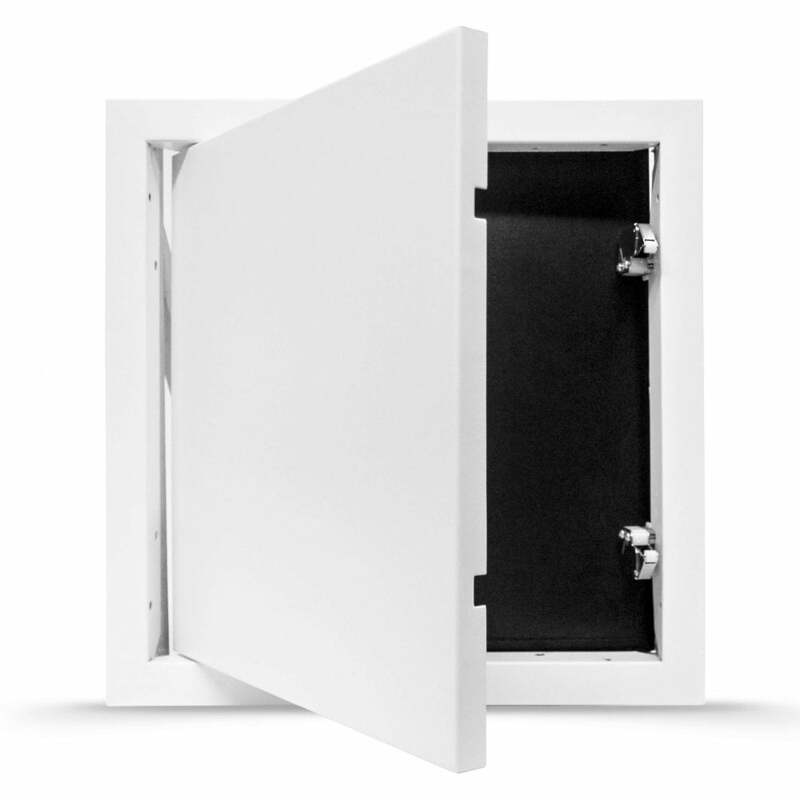 A neat, smooth budget access panel that offers an unobtrusive locking alternative at an unbelievably and unrivalled low cost. Panel depth 27mm Max depth 36mm (allowing for the locks), fixing holes 25mm deep. The inner edge of the frame has pre-drilled fixing holes for easy fitting. Showing 2 of our total 6 reviews, with an average rating of 5 stars. Read all 6 reviews for PFS-TL Picture Frame Access Panel | Touch Latch lock. This is a well made panel, and it's very simple to install.